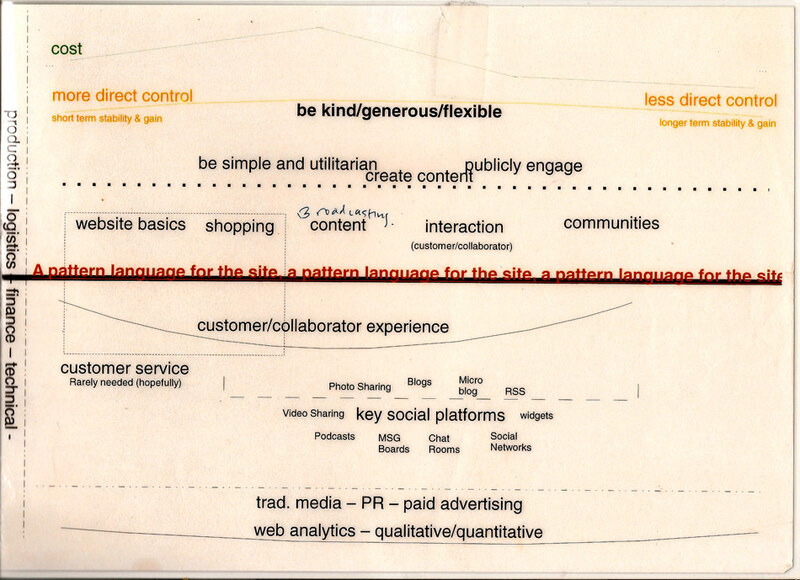 Some artifacts from research and design projects on how people use and interact with their environments with a focus on cities, organizations, software, and tools. 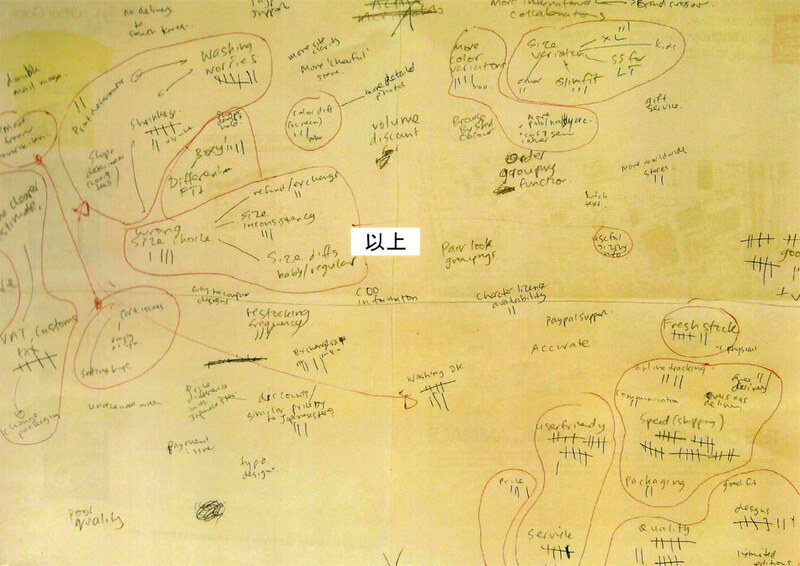 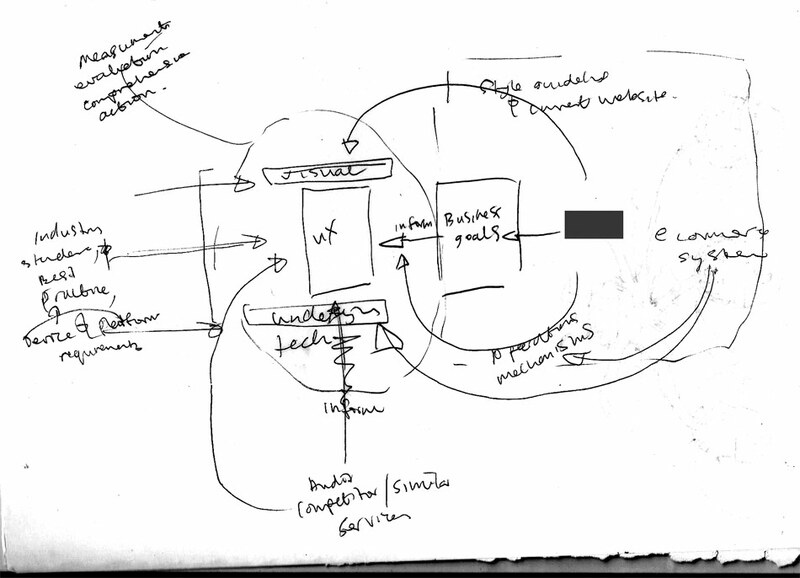 >> Initial system sketch when advising an online commerce start-up from the point of view of a vendor. 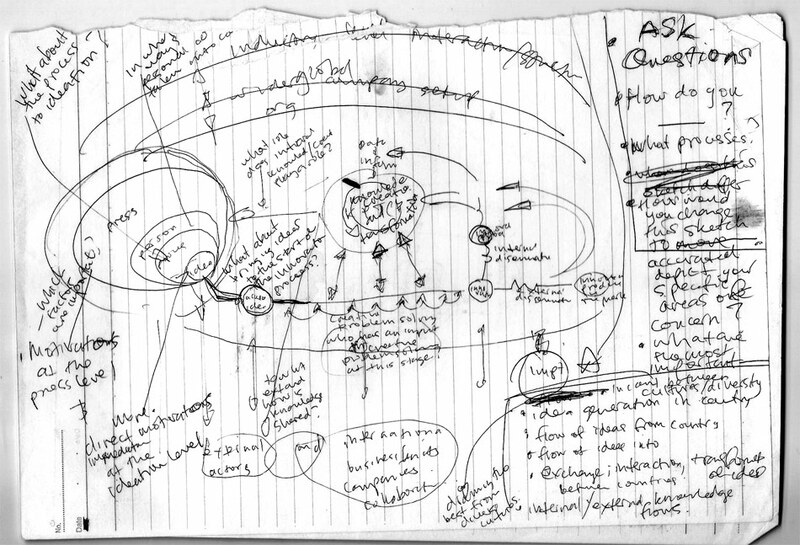 >> Initial discussion sketch with a Tokyo-based company about a way to research emotion with mobile tools. 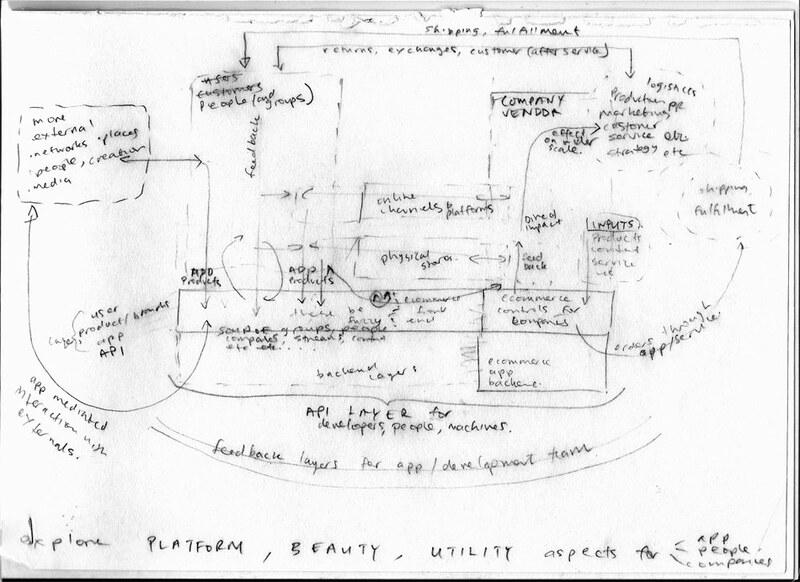 >> Sketch of key objectives and mobile app overview during initial discussion with flash sale service. 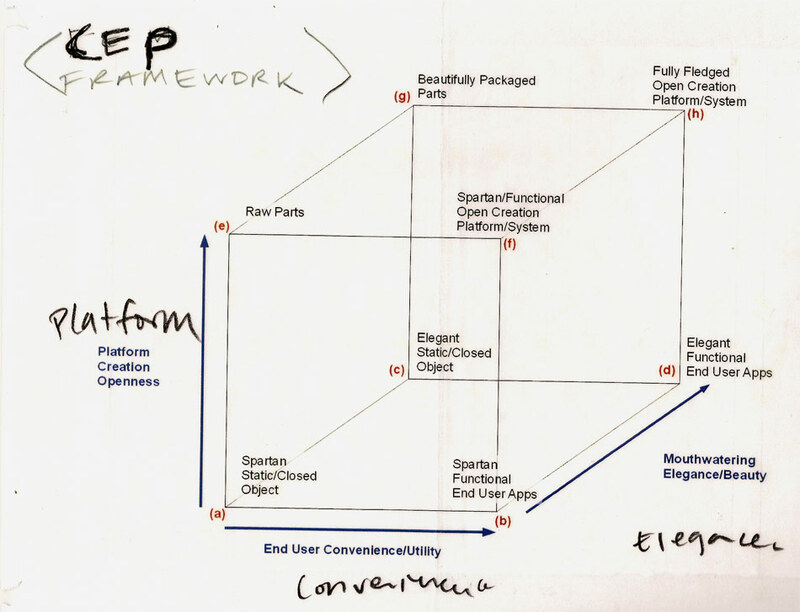 >> Discussion framework for thinking about convenience, elegance and platforms for digial products and experiences. 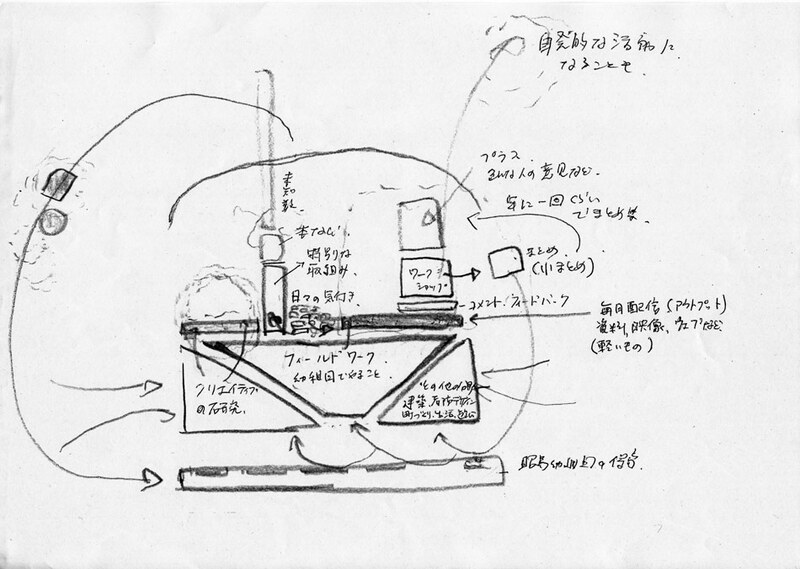 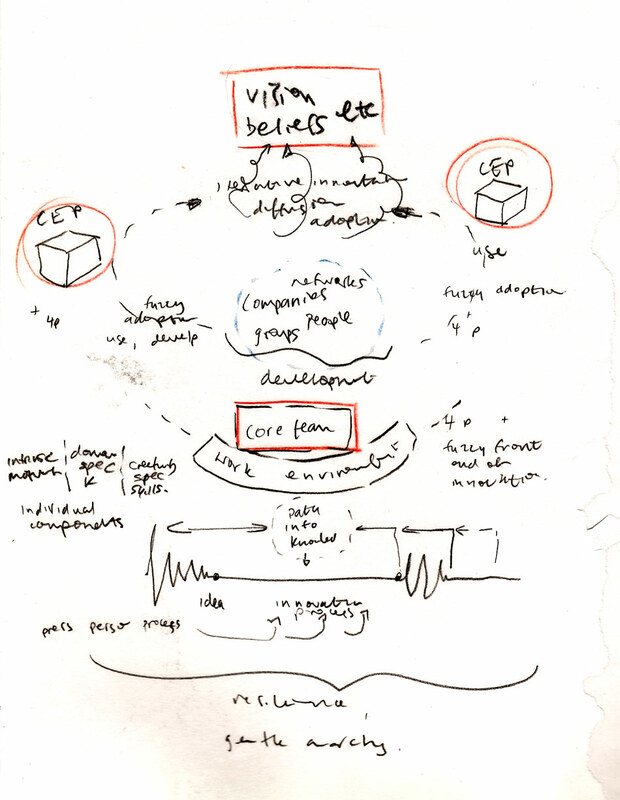 >> Sketch outlining initial understanding for global online store of a Japanese apparel brand. 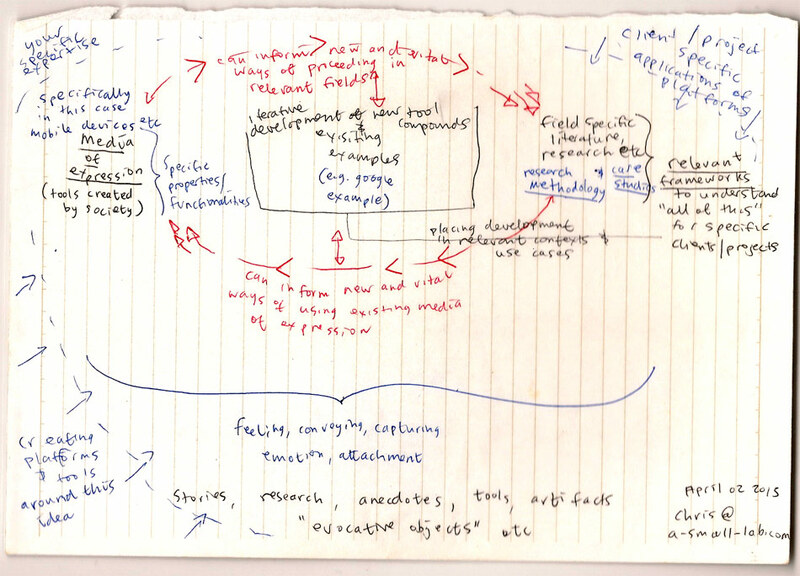 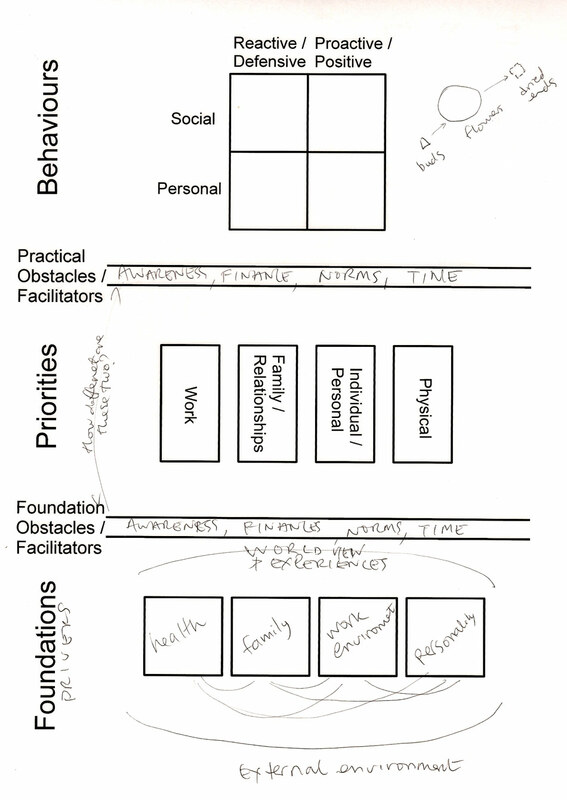 >> Sketch of project framework and output cycles for a collaboration with an alternative kindergarten in Tokyo. 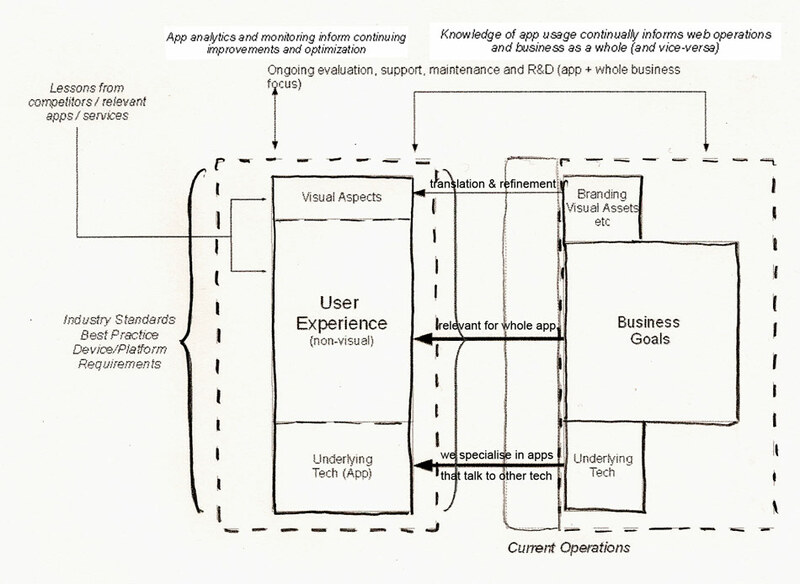 >> Discussion overview sketch for work environment and development in e-commerce app. 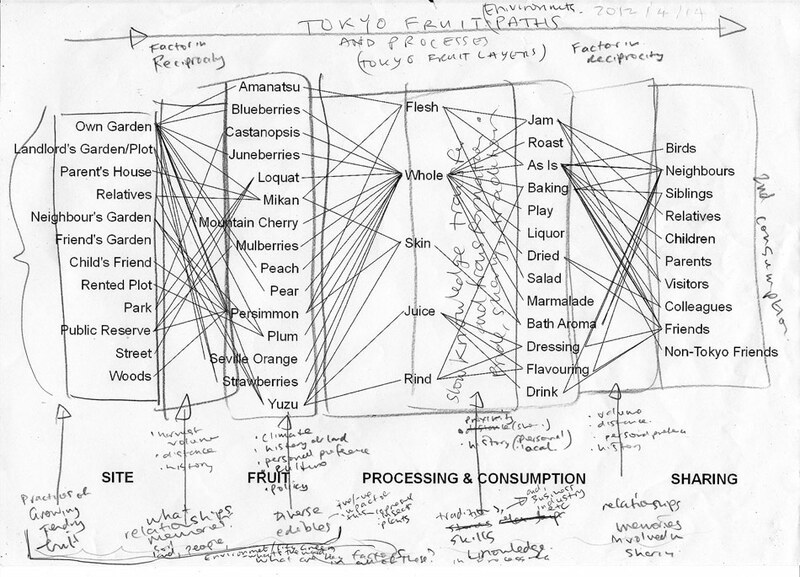 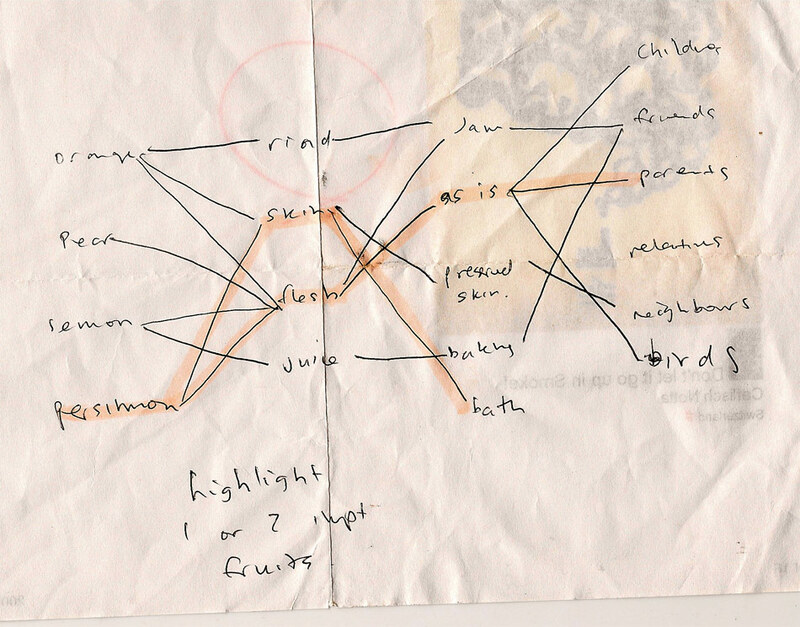 >> Sketching fruit paths for a study on non-commercial fruit practices in Tokyo. 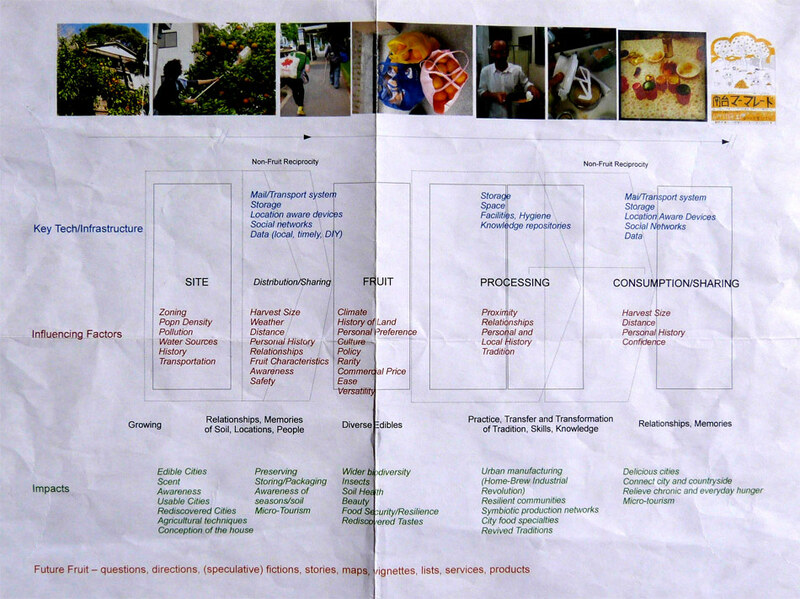 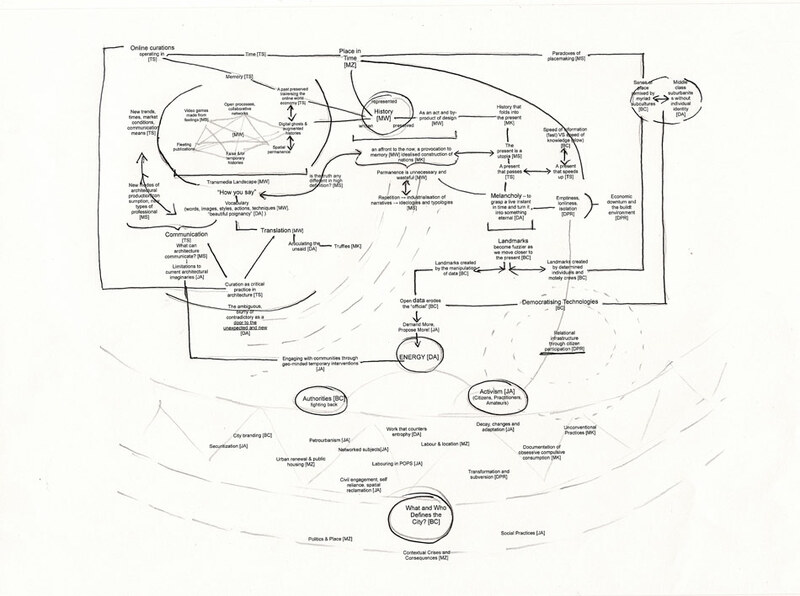 >> Diagrammatic overview for an article for MAS CONTEXT, a quarterly journal that addresses issues that affect the urban context. 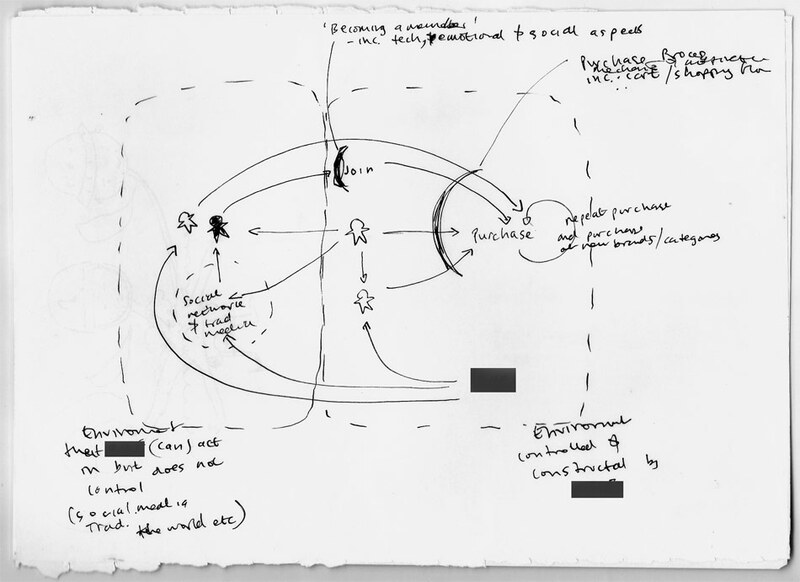 >> Sketch of a discussion on creativity and innovation with the innovation manager of a company of ill repute. 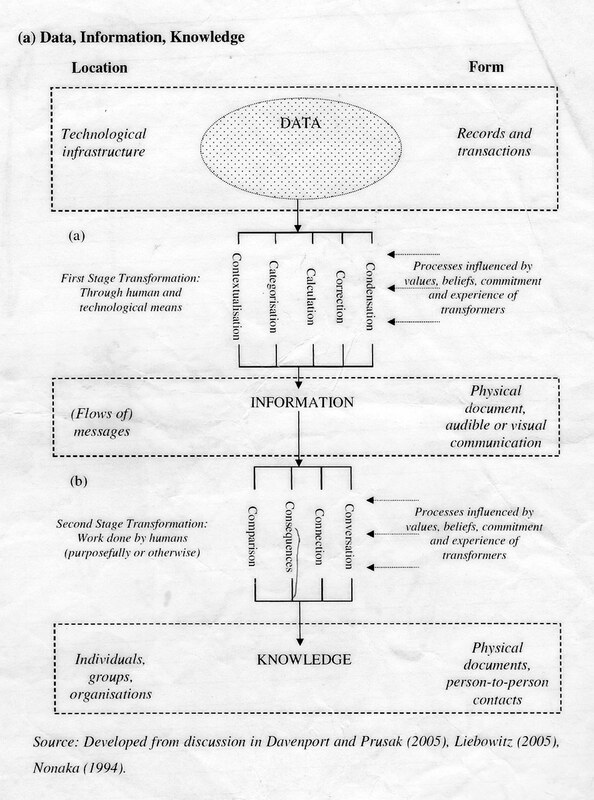 >> Framework for discussing data, information and knowledge. 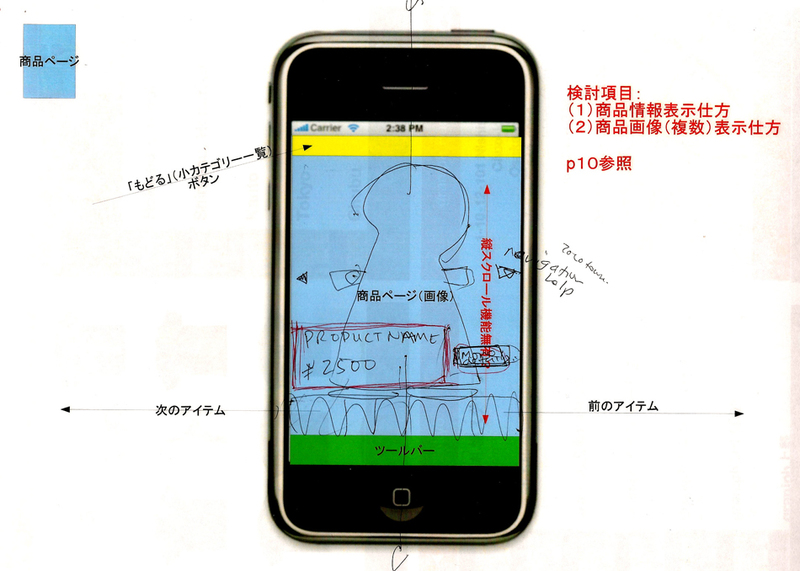 >> Early sketches in discussions for an iPhone app for a Japanese apparel brand. 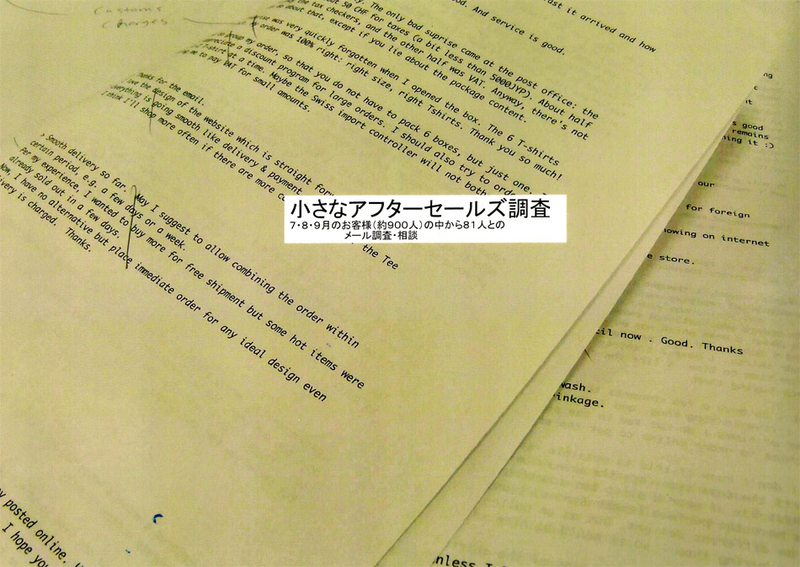 The app is HERE. 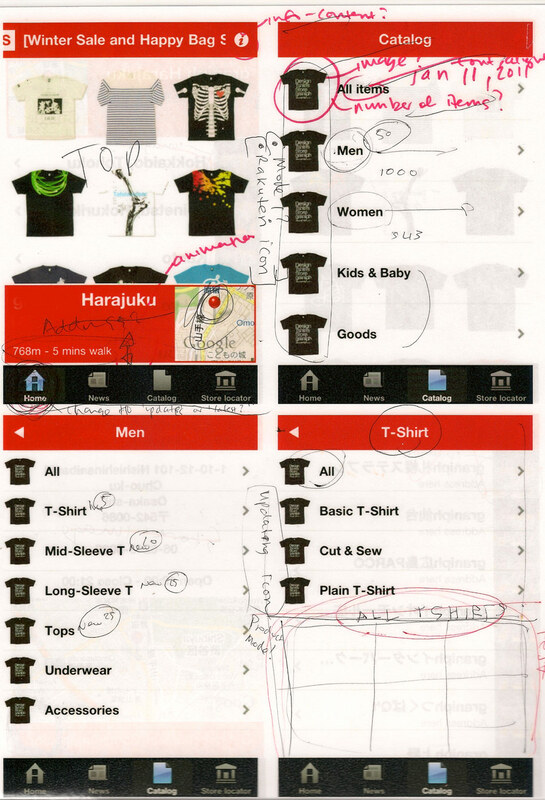 >> Email interview study of 81/900 online customers of a Japanese apparel brand. 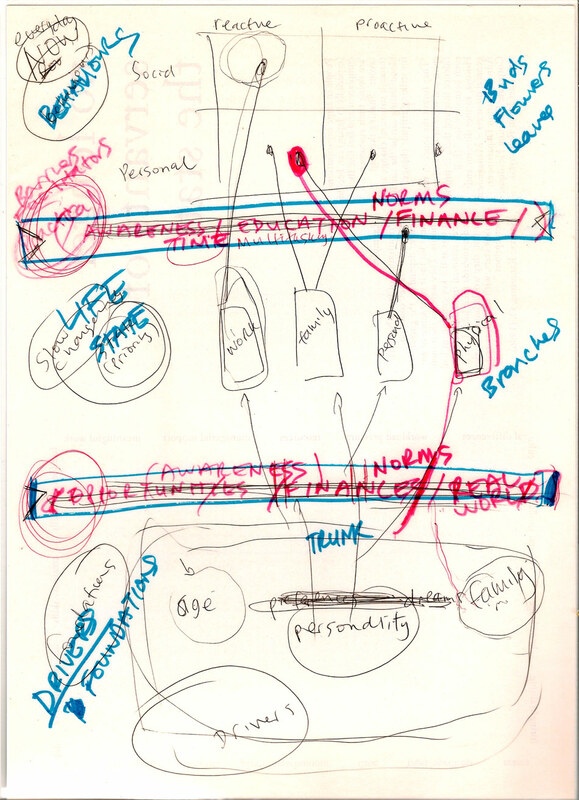 >> Sketch during discussion on a research project on the grooming habits of Japanese men, with a "strategic research, trend forecasting & innovation agency"